While customers intend to shop small, they don't always follow through. Americans are a flaky bunch. They may have the best intentions, but don’t always keep their promises. It may sound good to say they will support mom-and-pop shops on Small Business Saturday, but studies show that 48 hours after Thanksgiving, many find themselves nixing shopping plans in favor of their couches and college football. While brand awareness for the yearly event has increased and so has purchase intent, a study conducted by SalesFuel found that the number of shoppers has dropped 5% since 2013. The annual online survey examining Small Business Saturday shopping habits found that only 23% of adults questioned said they shopped on that day last year. However, a survey from the National Federation Of Independent Business (NFIB) and event creator American Express found that 76% of the consumers surveyed said they intend to visit at least one small business as part of their overall holiday shopping. So why is there a disconnect between what consumers say they will do and what they actually do? "Most people like the thought of shopping small and supporting their communities," said Courtney Huckabay, an editor at SalesFuel. "Consumers have every intention of getting out to their favorite handmade store or local gift shop on Small Business Saturday, but then they sleep in. Or it snows. Or they forget what day it is." SalesFuel data attributes some of the dip to Cyber Monday. More than 33% of the 13,309 adults surveyed said they purchased something on Cyber Monday—10% more than Small Business Saturday. But it’s not because consumers don’t want to give back to their communities. Online shopping is simply easier, said Huckabay, and consumers are watching their wallets. Nearly 55% of Cyber Monday shoppers said they would’ve shopped small had prices been similar to those online. Still, brand awareness of the event is at all time high. According to the AmEx and NFIB survey, 58% of the 1,653 adults surveyed admitted they’ve heard of it, compared to 55% in 2015. Small Business Saturday spokesperson Nicole Leinbach-Reyhle attributed the increased awareness in part to an uptick in "Neighborhood Champions," groups of 10 or more small businesses in each community that promote the event. There were 4,100 in 2015, and there will be an estimated 6,400 this year, she said. Leinbach-Reyhle said she was not familiar with the SalesFuel survey, but said Small Business Saturday participation is up by 7 million people, year over year. The difference in the survey results can be attributed to sample size. SalesFuel reached out to more than 13 thousand adults, compared to NFIB and American Express’s 1,653. SalesFuel’s study did not include sales figures. American Express approximates that customers spent $2 billion more in 2015—$16.2 billion on local businesses—than the year before. 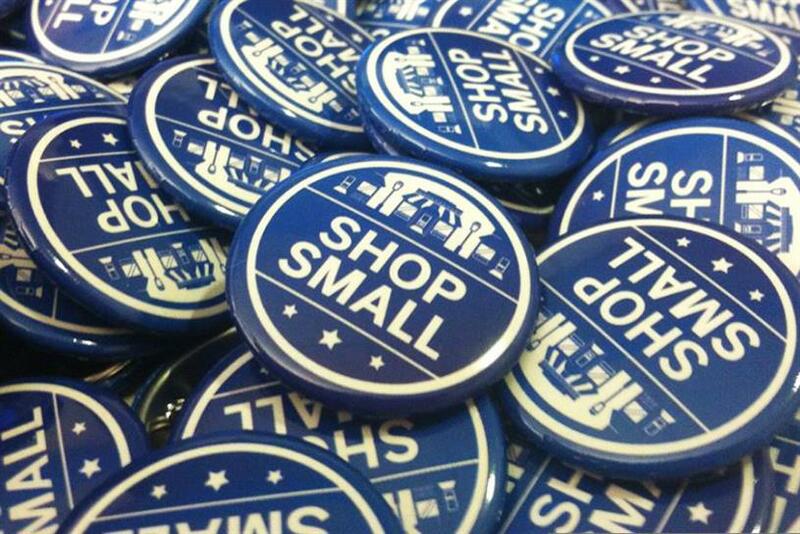 Will Small Business Saturday sales increase this year? Marketers will have to wait and see if consumers will live up to their good intentions.